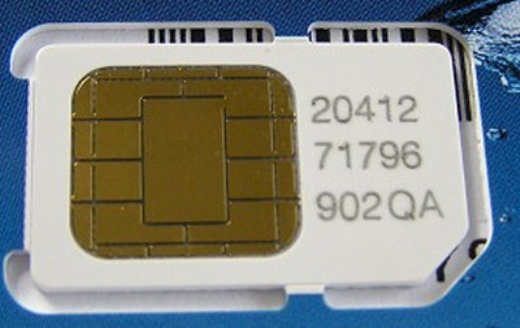 Luck is indeed tough for Kylie Maree Monks, a 33-year-old Australian woman, after being sentenced to 18 months in prison for stealing a SIM card from a utility meter, and is in debt of US $190,000 in charges. The Mercury, an Australian news publication, reports that Monks recently pleaded guilty to computer-related fraud, receiving stolen property, and one count of making a false declaration. She was charged after reportedly stealing a SIM card from a power meter that had a wireless data connection to Telstra’s wireless broadband network. Aurora Energy, the power company that owned the meter, racked up more than US$193,000 in wireless Internet data charges between Nov. 19, 2009, and Feb. 9, 2010, that will be charged against Monks. She denied any knowledge of the stolen card at first but eventually told investigators that she had been given the card by a man who had asked her to download movies for him. The judge in the case suspended the last 12 months of the sentence, reducing it to six months on the condition that she be on good behavior for three years. The charges to repay Aurora Energy US$193,187.43 still remain.